might we, for a short period of time, discuss the philosophical concept of pain and suffering when related to velocipedinal effort? it is, by its very nature, something of a subjective concept; your pain and suffering might not be my pain and suffering, while vincenzo nibali's pain and suffering would kill both of us. it rests predominantly on how old we might be, coupled to the level of fitness we own. riding a distance or level above both of these factors is pretty much guaranteed to bring on large dollops of pain and suffering. but it is a coupling of sensation that improves with both age and distance. i can slog myself to within millimetres of foaming at the mouth while breathing through my ears, but by the time i'm home, showered, changed and sat with a custard cream and a cup of green tea in front of the telly, such lack of fortitude will have been converted into selfless heroism. a common saying on the island concerns the immediate onset of winter after august's annual agricultural show. always taking place on the second thursday of that particular month, by 15 august this year i will be searching for bibtights, overshoes and hardshell jackets. a winter cap and thermal gloves probably wouldn't go amiss neither. winter's hebridean effect almost always includes horizontal rain, galeforce winds and an oft interrupted ferry service. pedalling in such circumstances, after a summer of delight usually takes the breath away for the first couple of weeks before the epo (extra porage oats) kicks in, then it all settles down till next march. though public relations would have us embracing the pain and suffering that might result from our exertions, in point of fact we will do pretty much anything to lessen its effect. tweaks such as a slightly larger rear sprocket, a compact chainset, in fact anything other than plain old hard work. even the apparel worn during those heroic struggles can often make considerable inroads into alleviating undue stress and strain, leavng us to concentrate on the black spots in front of our eyes. 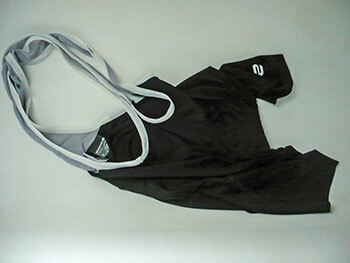 common thought until recently would have us believe that the more panels used in construction of a pair of bibshorts offered the greatest bang for buck. however, consider the salient fact that a plethora of lycra panels brings along a comcomitant number of seams, and flatlocked or otherwise, there's the inevitable possibility of chafing or irritation at those myriad points. 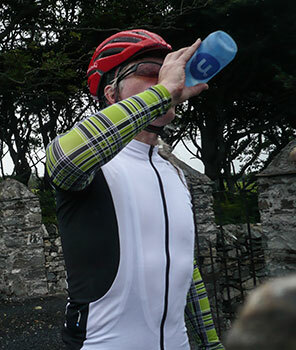 scotland's endura with their latest equipe infiniti bibshorts have adopted a contrary stance, intent on minimising the number of seams to improve comfort and create a barely there sensation. the infiniti shorts are constructed from only three panels of italian power lycra, a material that sounds as if it ought to arrive with go-faster stripes and seat belts. such is the advanced modelling of these shorts, that the legs are formed from a single panel of this power lycra. 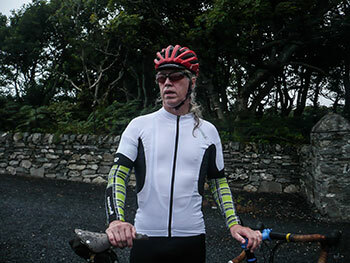 i'm firmly of the belief that a well-fitting pair of bibshorts ought to be darned difficult to get on, a tighter fit lessening the chance of untoward movement while ascending the col du foreland. however, the equipe infiniti shorts are close to impossible to get on, and believe it or not that is, in this case, a very good thing. the silicon gloop on the inner hem of these shorts is tackier than a very tacky thing, sticking to every square inch of finely shaved leg as i wiggled my bum into place. this means, of course, that there is no ungainly elastic hem with a chunky seam to irritate the heck out of those powerful thighs. flipping brilliant if you ask me. couple that with featherweight bibs, and i cannot but agree with endura that these are verging on not being there at all. though i have already averred to winter's impending arrival, i will agree that christmas is some way off. however, endura have not ignored the possibility that their infinti shorts might make a particularly ideal gift for the cyclist in your life. the bibshorts arrive in a card box containing not only a pair of shorts, but a mesh laundry bag and tub of endura chamois cream. bear that in mind as december approaches. though the infiniti shorts can be worn with whichever jersey you deem suitable, there's little denying that coupling them with an endura equipe helios comp jersey is rather a good idea. though i'm more often than not, less impressed with coloured panels that seem to have no function other than to simply exist, the contrasting black panels on this white jersey have jobs to do revolving around body fit and and mesh inserts to aid breathability. 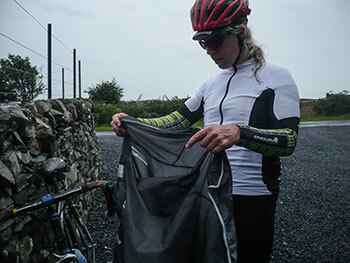 like many a competition level garment, the jersey's close fit is less than tolerant of squidgy bits you'd rather not display in public, but it does cater for frantic and athletic movement in and out of the saddle. pain and suffering, if you will. the three rear pockets appear a smidgeon baggy when parading around the kitchen trying to find that misplaced track mitt, but all becomes as it should when assuming the position on the drops or on the brake hoods. the three main pockets offer lashings of room for whatever it is you usualy need lashings of room for, and they are aided and abetted by a lime green, zipped coffee money pocket and one for stowing used gel wrappers. lest you mistake a common parentage between both garments, the subtle ribbing created by the silicon gloop on the shorts is carried through to the sculpted sleeves. a neat, if subtle touch. unfortunately for both items of endura equipe apparel, many of their reviewing hours were spent midst continuous rain. there were a couple of hours when the sun shone, but this is a hebridean summer, rarely precipitation free, despite weather reports to the contrary. this may be a distinct advantage to be gained by wearing clothing designed and built in scotland; mr mcfarlane shares our climate. ever since making a bigger splash in the road-going apparel market though their own team sponsorship and now that of movistar, endura's equipe clothing has improved in leaps and bounds over the years, resulting in what might happily be referred to as state of the art. it may be something of a cliche, but there has to be a time when that phrase is entirely apposite. 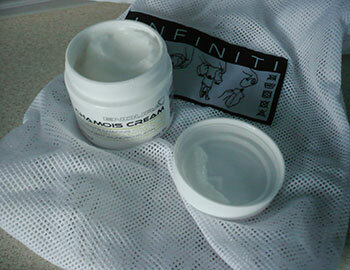 endura infiniti bibshorts are available in sizes ranging from small (as reviewed) through to xxl. cost is £139.99. the equipe helios jersey is available in either black or white and sizes small to xxl (medium reviewed) at a cost of £79.99.